Astronomy requires dark and clear skies, and that often means you need to build telescopes in remote places such as Cerro Tololo, where we have been staying the past couple days. 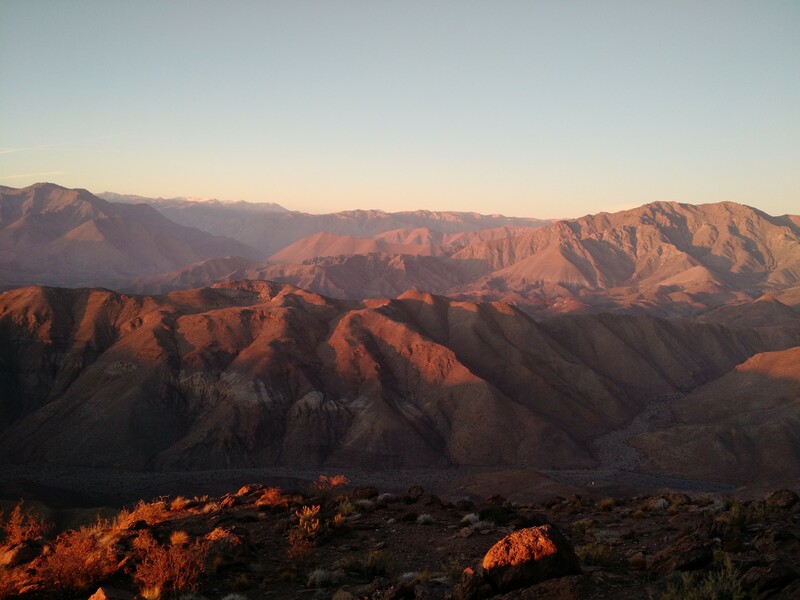 While it’s dark skies that brings us to Cerro Tololo, it as also a region of profound beauty. It is a land so wondrous that I feel inadequate to the task of describing it. With the altitude, the days are often sunny and brilliant, and it’s important to limit direct exposure to the Sun. But twilight comes with a cool breeze and a fall of colors. This is a desert mountain range, so the mountains fade into the haze and are painted by the falling Sun. The sky is brilliant blue during the day, and at twilight darkens to a deep blue before yielding to the night. Then the stars come out, tentative at first, then gathering to a sparkling sea. The Milky Way is high overhead in Winter, and is mingled with dark clouds. The stars are clear and close, and it’s hard to take it all in. The should have sent a poet, but they sent me instead. And I’m very glad they did. The Andes stay that dry all the way up to Northern Peru / South Ecuador on the Eastern slopes. Once you get to Ecuador you can actually find trees even in high attitudes. I’m not quite sure how far south you really are but for the most of the Andes – you cross them and once you get to the Eastern slopes you get into deep bush and then deep jungle at attitudes around 2000 – 3000m. I have never been down in Argentina – Patagonia so I don’t know how it is far south down there. Crossing the Andes is quite impressive experiencing how different the landscape can be with partially just 50km air difference.